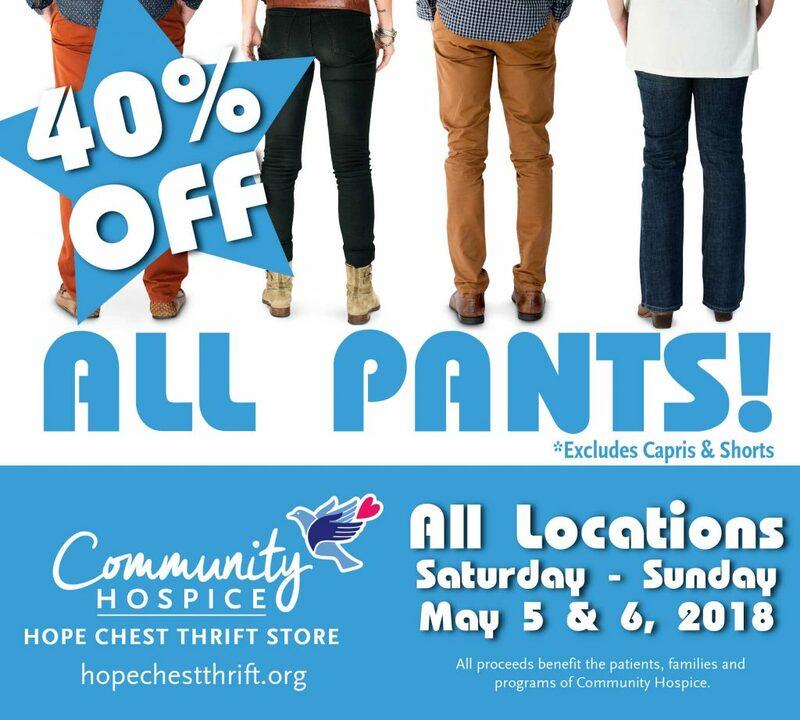 Save 40% on ALL PANTS! Time to add to your wardrobe! This deal is available at all locations.